From the first moment I saw Mary in October of 2008, I was enchanted. She was exquisitely beautiful, regal and graceful. She displayed a loving personality and was so very charming. She was playful and brilliant. Under saddle she was soft and willing, a true joy to ride. My fondest memories will always be of our hours on the trails. There she displayed her love of exploring new trails and being out in the wide open fields as well as in the cool woods. When I received the devastating news that she had an untreatable form of cancer, it seemed impossible that this beautiful little mare would soon be gone. Mary had asked for so little and given me so much. When she let me know that she was ready to be released from this world, I had to honor her and let her go with dignity and without suffering. The American Morgan Horse Association motto is "Morgan Horse, the horse that chooses you." I am so grateful that Mary chose me. I will forever treasure the memories of our all too brief time together. Storme entered my life at the absolute perfect time. There were many days where he would let me hold onto him and cry. We needed each other and made the perfect team. 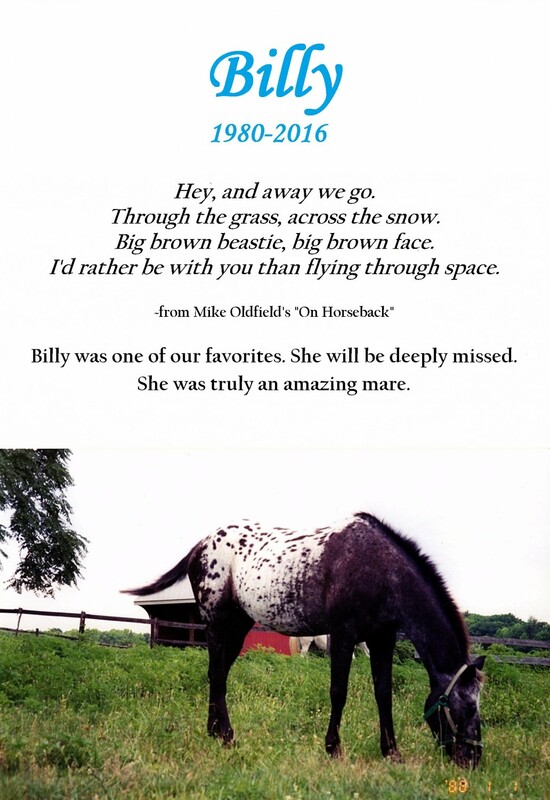 He was a strong, talented horse that unfortunately had a body that could not keep up with his spirit. Jazz Bug was the horse that I dreamed of as a little girl. 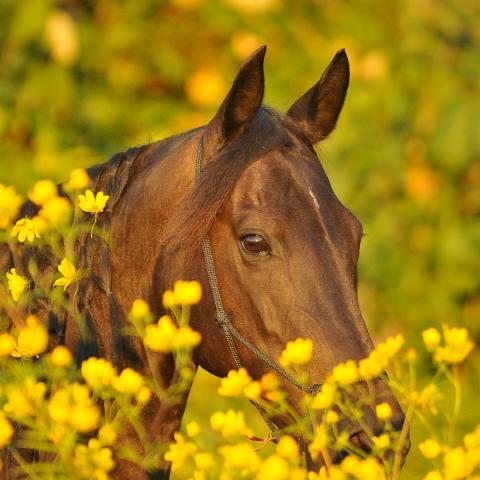 He was the most handsome, loving and loyal horse. After retiring from the track he went on to become a dedicated therapy horse. 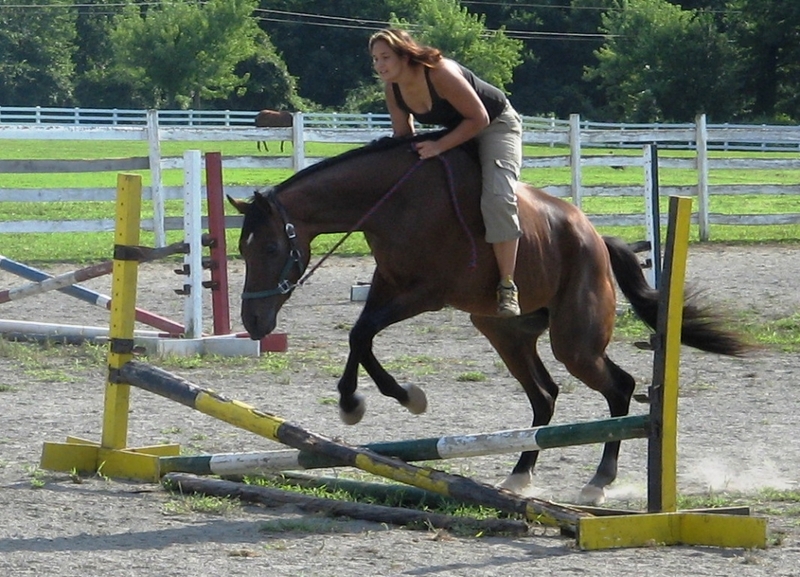 I had the privilege of owning him and loving him his last few years. The day Jazz died was the saddest day of my life. 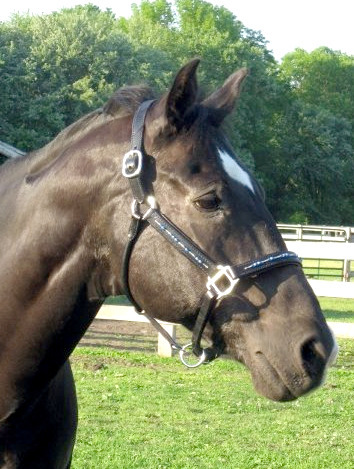 I did not think I could ever get over losing him, but it was not long before a special horse came along to help me heal. 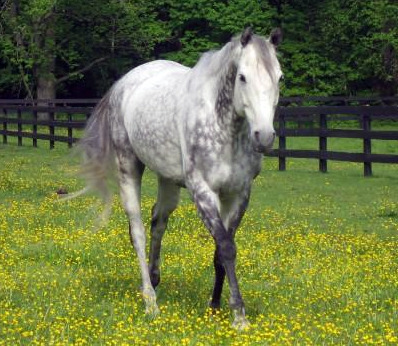 Nina (Venezia) was a horse of a life time. She had an amazing presence, and knew it! She was the best partner ever and helped me attain dreams I didn't know I had. 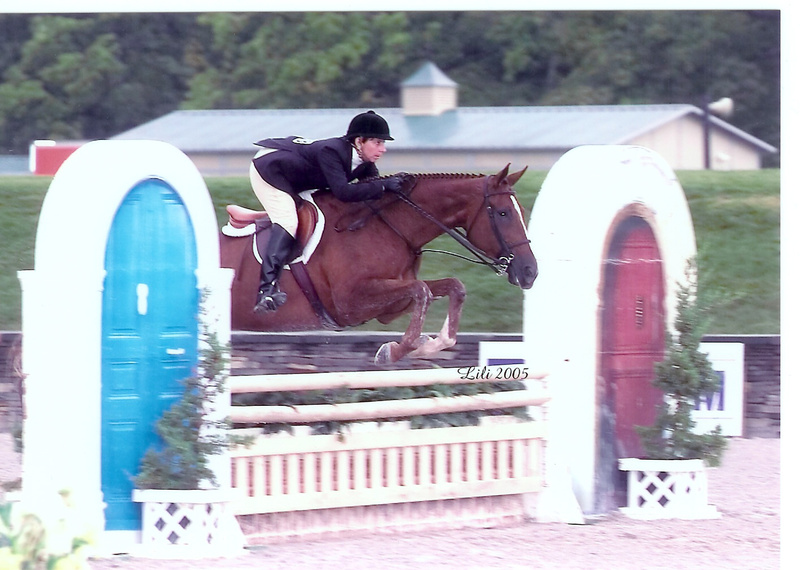 Whether in the show ring or cross country, she was always game for a new adventure. We miss her and she will have a special place in our hearts for all eternity. "Not lost, but gone before." - Norton.